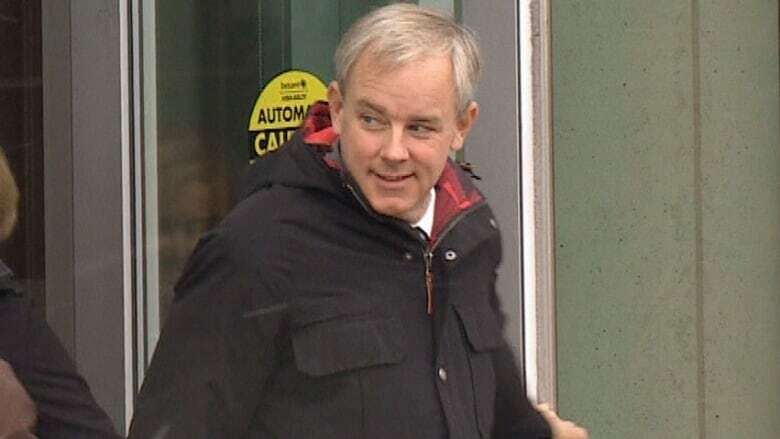 A mistrial has been declared in Dennis Oland's murder retrial because a Saint John police officer conducted "improper" background checks on prospective jurors and "irreparably" tainted jury selection. Court of Queen's Bench Justice Terrence Morrison discharged the 16 jurors Tuesday before any evidence was heard, saying it was "in the best interest of justice." He announced he will now preside over a new trial without a jury, starting Wednesday at 9:30 a.m. AT, when Oland will have to be re-arraigned and re-enter his plea. "The appearance of fairness in the jury selection process is critical," Morrison said in a written decision, granting the defence's request for a mistrial. "The alternative is to allow the [jury] trial to proceed to its conclusion under the cloud of a tainted jury selection process and risk the very real possibility that the case will be overturned on appeal and yet another new trial ordered." Some of the jurors looked perplexed by the stunning turn of events, and others, disappointed. Morrison apologized to them and thanked them for their willingness to serve. "This has been a time-consuming and no doubt very frustrating experience for you. I regret your sacrifice of time and effort will not conclude in your serving as jurors in this case. However, it cannot be helped." Oland, 50, is being retried for second-degree murder in the death of his father, multimillionaire Richard Oland, more than seven years ago. After jury selection last month, it was discovered that Const. Sean Rocca, who sat with the Crown during jury selection, had screened potential jurors using a Saint John Police Force database that shows any interactions people have had with city police. 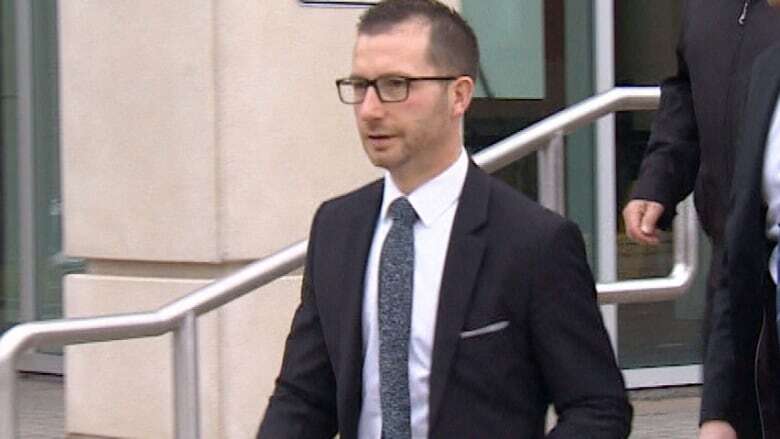 Oland's lawyers argued this could be perceived as "juror shopping" and may have led the prosecution to reject seven jurors the defence was happy with. It could also call into question the jury's eventual verdict, they said. Morrison agreed. "In my view, the appearance of justice was fatally wounded," the judge said during a Nov. 14 hearing, which was under a publication ban until the jury was discharged. 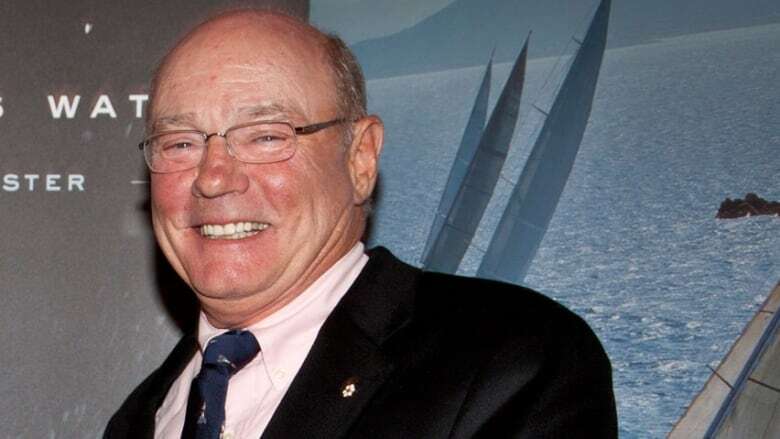 The body of Richard Oland, 69, was discovered face down in a pool of blood in his Saint John office the morning of July 7, 2011. He had suffered 45 sharp- and blunt-force blows to his head, neck and hands. A jury found his only son, Dennis, guilty in December 2015, but the New Brunswick Court of Appeal overturned the conviction in October 2016 and ordered a new trial, citing an error in the trial judge's instructions to the jury. The defence asked last year that the retrial be heard by a judge alone, but the Crown refused to give the required consent and Morrison denied the application. The Crown now agrees the retrial should proceed without a jury. 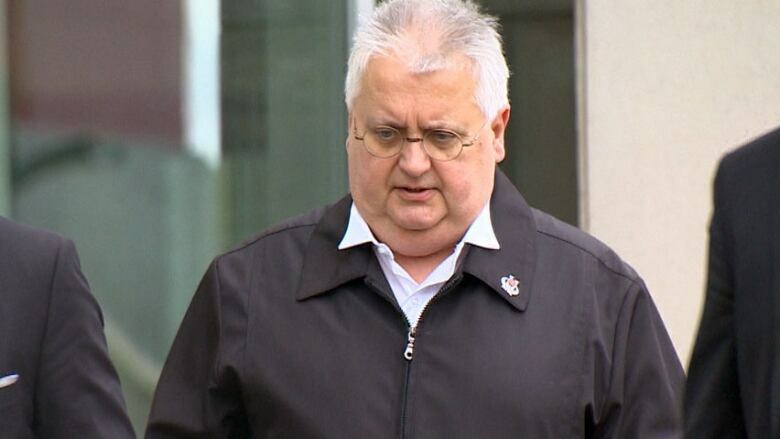 Rocca has been the force's file co-ordinator on the Oland case since October 2011. According to court documents, he used the internal Crime Management System, known as CMS, to search potential jurors during the selection process in October, as well as the 16 jurors who were sworn in. The Crown and police are allowed to — and commonly do — conduct limited background checks to determine if a potential juror has a criminal record, which would make that person ineligible to serve. The "most appropriate" data source would be either the Canadian Police Information Centre or New Brunswick's Justice Information System, the defence argued, citing Supreme Court of Canada case law. CMS tracks any contact a person has had with Saint John police, whether as a complainant, victim, witness, suspect or an accused. Some of Rocca's searches "went beyond looking for 'arrest flags' which might shed light on a criminal record," Morrison's decision said. The defence alleged Rocca was "paying particular attention to whether or not the jurors might have had a negative interaction" with police. Morrison noted one of the central issues in Oland's case is the way the Saint John Police Force handled the homicide investigation. "The fact that a member of the SJPF was engaged in the searches in question relating to potential jurors' contact with police amplifies the appearance of unfairness." Rocca's practice of "investigating jurors" using CMS has been "a systemic one," according to the defence. The 16-year veteran of the force did the same thing for Oland's first trial and other trials he has been the file manager for, the defence application for a mistrial said. But the practice only came to light after the most recent jury selection was complete at the end of October, according to the court documents. It was the "unexpected legal issue" the judge cited when he delayed the start of the trial by two weeks. On Nov. 1, Rocca checked to ensure the selected jurors did not have criminal records and discovered "issues" in relation to two of them, according to the documents. Crown prosecutors had been unaware of Rocca's searches, which were conducted in their office while they were busy with other tasks, the documents state. When they learned of his actions, they instructed him to stop and notified the defence. They also filed an application to have one of the jurors excused, and Rocca was called to testify during that locked-door hearing on Nov. 5. "From his evidence it became apparent that [Const.] Rocca not only engaged in improper investigations after the jury was selected, but that he used the same database to engage in similar searches during the jury selection process prior to the Crown exercising its peremptory challenges," Morrison said. The Crown and defence each had the right to reject 16 prospective jurors without stating a reason — a so-called peremptory challenge. During the jury selection process, Rocca offered prosecutors his "opinion from time to time," the documents state. 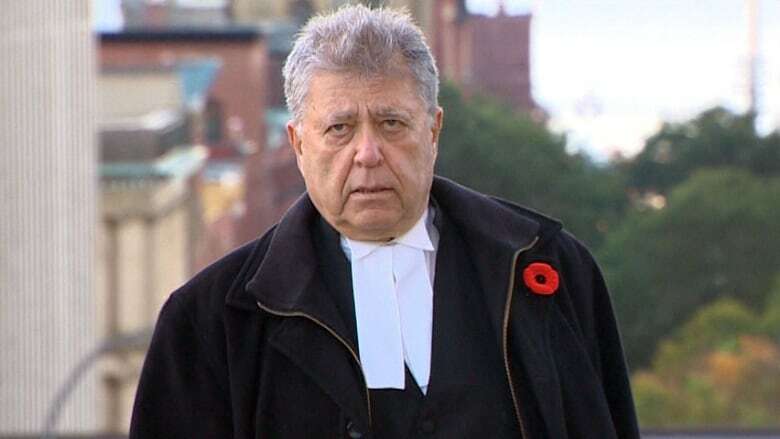 Oland's lawyers had been content with seven jurors whom the prosecution cast aside by peremptory challenge, lead defence Alan Gold told the court on Nov. 14. "We don't know whether the Crown would have challenged any or all of those seven peremptorily but for the improper input" from Rocca's searches, Gold said. 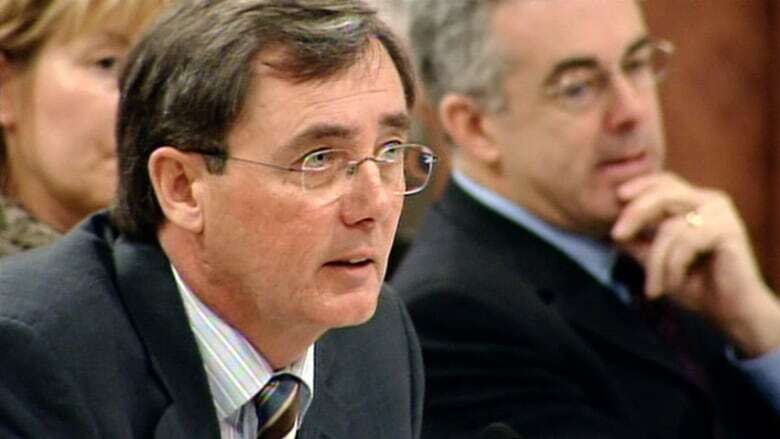 But "there is at least an appearance … that Dennis Oland was deprived of seven jurors he was content with that were improperly excluded from his jury." The judge said "that, in itself, is sufficient to irreparably taint the jury selection process in this case." At the end of jury selection, the defence had exercised nine of its 16 peremptory challenges. The Crown had exercised 14. The country's highest court has said that when Crown or police obtain information bearing on the jury selection process, it must be disclosed to the defence, but none was in this case. Toronto-based lawyer Alan Gold is leading Dennis Oland's three-member defence team. (CBC)"A reasonable observer would be of the view that the Crown improperly benefited from information which led to juror shopping during the jury selection process, to the prejudice of the defence, even if actual prejudice cannot be established," the defence argued. "Allowing the trial to continue at this point in the proceedings in light of what has been discovered creates a realistic risk that the integrity of the trial will be irreparably compromised to the prejudice of [Oland], calling into question the integrity of any decision ultimately reached by the jury." The judge debated with the lawyers on Nov. 14 whether he needed to officially declare a mistrial to terminate the jury process or just discharge the jury and proceed by judge alone. Morrison acknowledged case law dictates mistrials are a last resort, but worried the wrong choice could become subject to an appeal. "The last thing any of us wants is to have a verdict in this case with an asterisk." Lead Crown prosecutor P.J. Veniot said he didn't believe a mistrial was necessary, but Gold suggested the Crown was worried about public perception. He urged the judge to declare a mistrial. "It's simply the cleanest simplest way to start a trial that is beyond reproach." The retrial is scheduled to last four months.